If you've perused the pages of EARMILK over the past year or so, Dr. Dundiff and Otis Junior might be familiar names. These two Louisville sluggers have blessed us with some memorable, soulful tunes during that stretch, notably "The Ballad" and "4 Us." Today, Dundiff and Otis return with a new flick for "Need to Know." The video's funny premise aside—i.e., Otis and his little homie jacking Starter jackets from thrift stores—there's an important message embedded in Otis' buttery vocals and Dundiff's foot-tapping production: leave the past in the past, and don't let life lessons get in the way of actually living life. "Need to Know" is yet another example of how Otis' and Dundiff's styles go together like hot sauce and Cup Noodles. The latter's organic drums, precise keys, and sprinkle of horns provide a solid foundation for Otis' pristine vocals to get their shine on. Visuals-wise, director Kogan Dumb accompanies the song with a quirky mini-storyline that involves the aforementioned thrift store shenanigans and tripping a supermarket clerk. 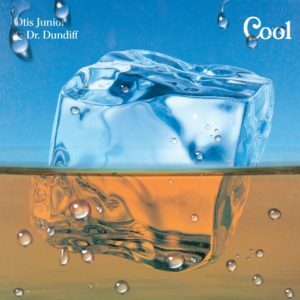 In addition to premiering "Need to Know," Otis and Dundiff are also announcing that folks can start pre-ordering Cool, their upcoming album dropping on December 14th via Jakarta Records. Peep out the cover art for Cool below, along with links to pre-order and break bread with two of Louisville's finest.